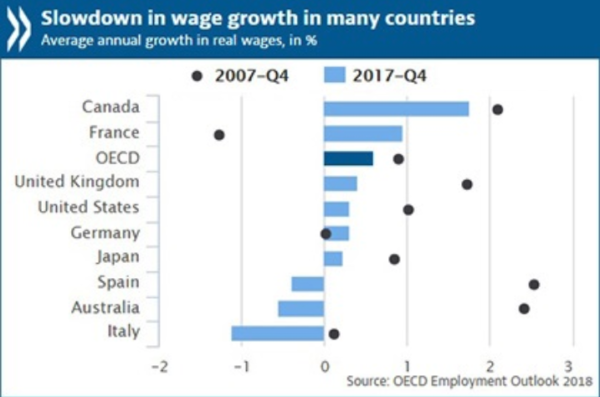 A new, startling report from the Organisation for Economic Co-operation and Development (OECD) warns that positive employment trends are at risk of being derailed by “unprecedented wage stagnation” affecting low-paid workers. The OECD Employment Outlook 2018 stated the employment rate in developed economies averaged 61.7 percent at the end of 2017, the highest level since the global financial crisis. The employment rate is expected to reach 62.1 percent by the end of this year and 62.5 percent by late 2019 — that is if trade wars and quantitative tightening do not trigger a global slowdown. While the employment trend appears excellent on the surface, the report cautioned wage growth, which is expanding only half as fast as a decade ago, remains “remarkably more sluggish” than before the great financial crisis. The report stressed income inequality has widened to unprecedented levels, which has developed into major structural issues for OECD economies. 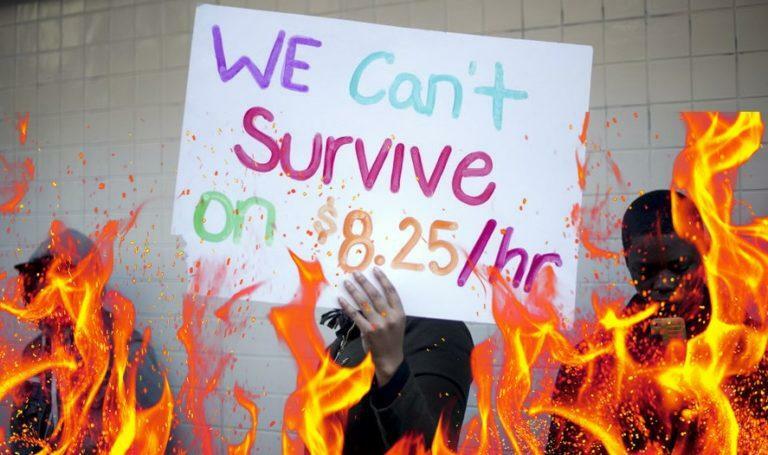 “Low inflation and the major productivity slowdown have contributed to wage stagnation, as well as a rise in low-paying jobs. The Outlook notes a significant worsening in the average earnings for part-time workers relative to full-time workers. Declining coverage of unemployment benefits in many countries and persisting long-term unemployment may also have contributed. Fewer than one-in-three jobseekers receive unemployment benefits on average across the OECD, and the longer-term downward trend of benefit coverage has continued in many countries since the crisis,” said the report. 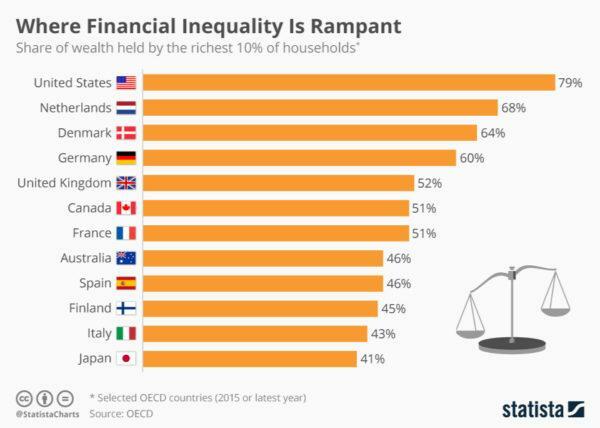 In June, the OECD released a report titled “Inequalities in household wealth across OECD countries,” which examined the distribution of household wealth across 28 countries and it discovered that America is the number one in the world for financial inequality. 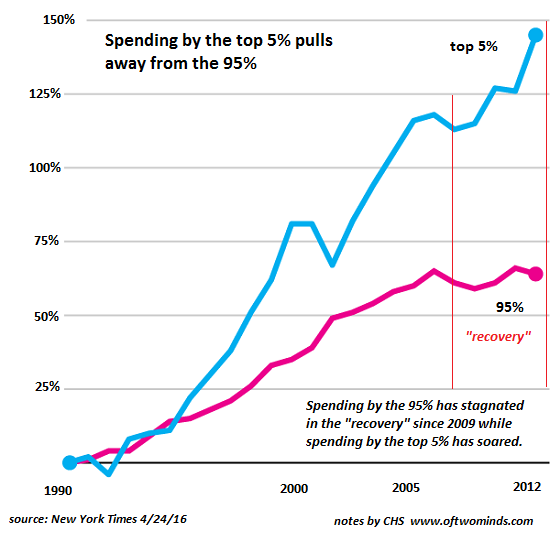 About 10 percent of the American households own 79 percent of all the wealth in the country. While the poor and middle class, which is about 60 percent of American households — only owns 2.4 percent of the country’s wealth. 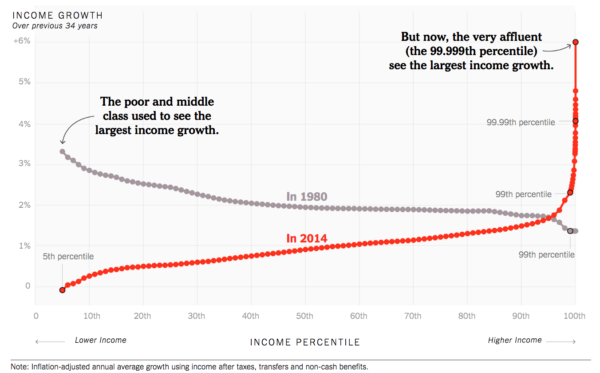 The role of income and financial inequality reminds us exactly why President Trump was elected. Both OECD reports stress that OECD countries are at severe levels of economic inequality. While President Trump has unleashed financial propaganda touting the “greatest economy ever,” we caution that quantitative tightening and trade wars could usher in a global slowdown. If and when the next recession comes, it could be financial inequality that contributes to the rise in civil conflict among OECD countries. Buckle up, the ride is about to get rough.